It hasn't been a good year for Apple. The company's had to confirm that they've been throttling speeds of older iPhones to maintain battery efficiency. They were caught throttling their latest MacBook Pros to well below their advertised base processor speeds in order to deal with the thermal demands of the chipset inside of them. iOS 11 was buggy as all get out. Worst of all, the keyboards that are baked into almost all of the laptop computers sold by Apple over the past few years are so delicate that dust or a crumb getting beneath a key cap could be cause for costly repair. The problem was such that a class action lawsuit over it was launched and Apple, caught up in a PR nightmare, was forced to start offering free repairs for their faulty input devices to all comers. The release of the company's latest crop of iPad Pro tablets, unfortunately, seems to have fallen into line with this new quality control status quo. ...my 11-inch iPad Pro showed a bit of a curve after two weeks. Apple asked if I would send it their way so the engineering team could take a look. But the replacement 11-inch iPad Pro I received at Apple’s Downtown Brooklyn store exhibited a very slight bend in the aluminum as soon as I took off the wrapper. Days later, in response to questioning from a customer, a member of Apple's executive team assured everyone that these bends are totally fine and we should be fine with the bends. Everything Apple is just fine. Dan Riccio, Apple’s VP of hardware engineering, offered the most informative response yet on the matter late Thursday night when he responded to a customer email, saying that the 2018 iPad Pro “meets or exceeds all of Apple’s high quality standards of design and precision manufacturing. We’ve carefully engineered it and every part of the manufacturing process is precisely measured and controlled." Riccio’s email goes on to say that Apple’s “current specification for iPad Pro flatness is up to 400 microns which is even tighter than previous generations. This 400 micron variance is less than half a millimeter (or the width of fewer than four sheets of paper at most) and this level of flatness won’t change during normal use over the lifetime of the product. 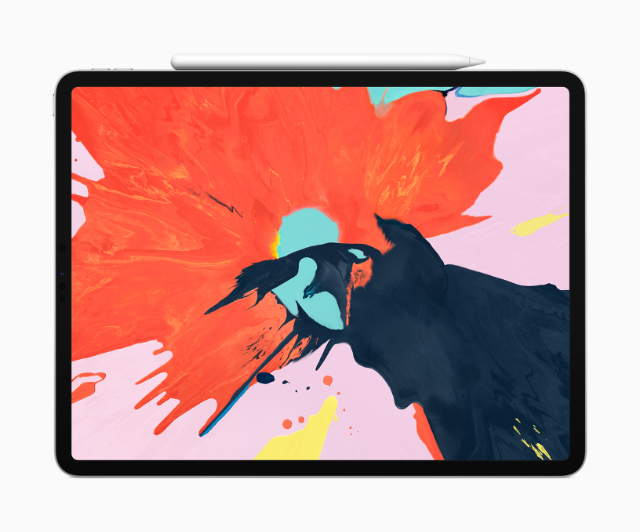 Note, these slight variations do not affect the function of the device in any way.” It’s possible that the flat sides of the new design make minor bends easier to spot with the naked eye; older iPads (with the exception of the original) have all had sloped edges. So, iPads have always been bent. We were all looking at them the wrong way. According to The Verge, Apple was supposed to offer an official statement to the media on the matter this past Friday. However, no such statement was made. From the way that things are looking, it'll take a holiday miracle to keep the company from sliding into another hardware scandal before 2019's even out of the barn. It's a shame: the latest iPad Pro looks like an incredible productivity tool.